As temperatures across Europe continue to break records and hosepipe bans begin to hit the headlines, the heatwave’s impacts on farmers and their livestock are becoming clear. Responsible use of water and keeping your pigs cool are essential to maintaining productivity and welfare in your herd. Below, The Pig Site provides you with a rundown of top tips from our network of producers and experts to ensure you can keep your herd happy throughout the year. • Respiration increases in intensity (panting). • Pig reduces its feed intake to slow the internal heat of digestion (sensible heat) being produced. • Reduced growth in feeder pigs. • Reduced milk production in lactating sows. • Muscle trembling and weakness. • Ensure ventilation units are working correctly by performing maintenance checks as soon as temperatures breach thermoneutral zones and ensure that any issues are corrected immediately to avoid having to take emergency measures. Figure 1 indicates thermoneutral temperature zones dependent on pig weight and flooring system. • Ensure that stocking densities are reduced during periods of extreme heat if ventilation cannot be improved. • Do cover any ceiling windows where sunlight shines directly into pig pens. • Insulate inner barn rooves and use lighter, reflective colours externally to reduce heat absorption and radiation into the barn. • Provide some barren sections in resting areas that are not covered in straw as it has been proven that pigs will seek barren areas during periods of high heat in order to keep cool. Do, however, maintain straw in pens as it is important for gut fill. • Producers using bedded packs should ensure that the manure pack is kept to a minimum depth, and dry. Deep, damp manure packs start to compost and release heat and moisture. As the stomach is the heat generation centre, giving the animals minimal bedding allows them to transfer heat to the cooler floor below when they lay down. • Use a backpack sprayer in confined conditions, such as show pens, as the mist will cool the pig without overly wetting the bedding. • During periods where water use is not restricted, use a misting system low down in the barn as evaporating water has a cooling effect on pigs’ skin. • Provide access to plenty of shade – artificial (larger arcs and canopies) or natural (trees/woodland). Uninsulated aluminium or bright galvanised steel are perfect for constructing artificial shade canopies. • Paint arc roof white and/or cover in branches or foliage to reflect light. • During periods where water use is not restricted, use sprinkler systems around housing and create wallows. • Apply sunscreen where mud baths and shade cannot be provided. Breeding herds are particularly susceptible to an array of reproductive issues, including decreased farrowing rates, smaller numbers born per litter, a reduced number of piglets born alive per litter, higher embryonic deaths during early gestation, a larger number of stillborn piglets and miscarriages. 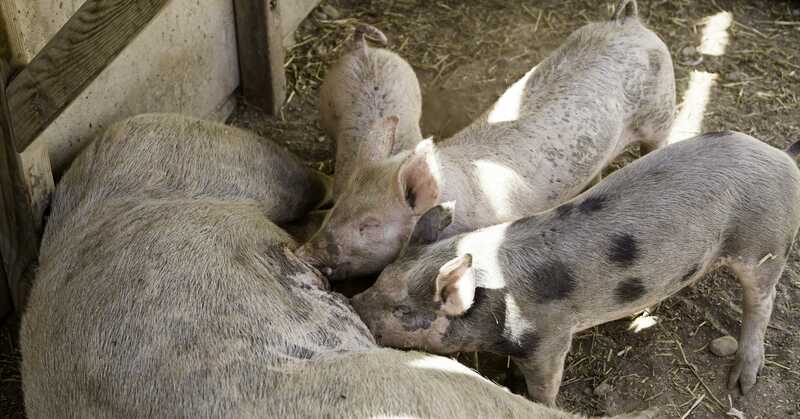 Heat stress is also responsible for increased mortality among sows (Pig Health Today). Water conservation is essential during periods of drought, but when it comes to husbandry of livestock, welfare and health comes first. Your herd should always be hydrated and comfortable no matter how strict the water use restrictions are, and issues can be overcome through responsible and sustainable water use. Many producers in regions prone to droughts will deliberately construct pig units close to lakes, ponds and rivers, ensuring that farm effluent and waste is disposed of away from such water bodies. 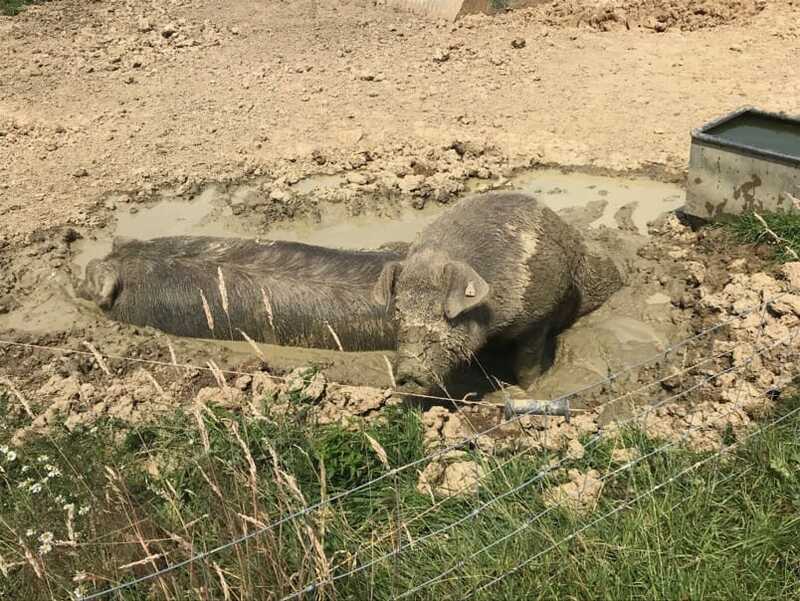 This provides continuous access to fresh water which can be used to create wallows, to provide water for misting and sprinkler systems, and, with filtration, can provide drinking water for pigs. Create boreholes to harvest spring water and underground supplies. Collect and filter rainwater in closed systems throughout the year. This can be stored in cool, dry barn areas out of direct sunlight. • Recycled waste water from the barns and drinkers can be used to create wallows and use in sprayers as long as the herd is free from transmissible disease. • Drip water systems and wallows reduce the need for sprayers and misters, and use much less water. • When washing barns, remove solid waste and pre-soak the flooring to reduce water required to remove tough dirt. Using hot water also improves debris removal so reduces water required. • When moving between pens to distribute water into troughs, use a bucket to catch any water in between pens to prevent wastage. 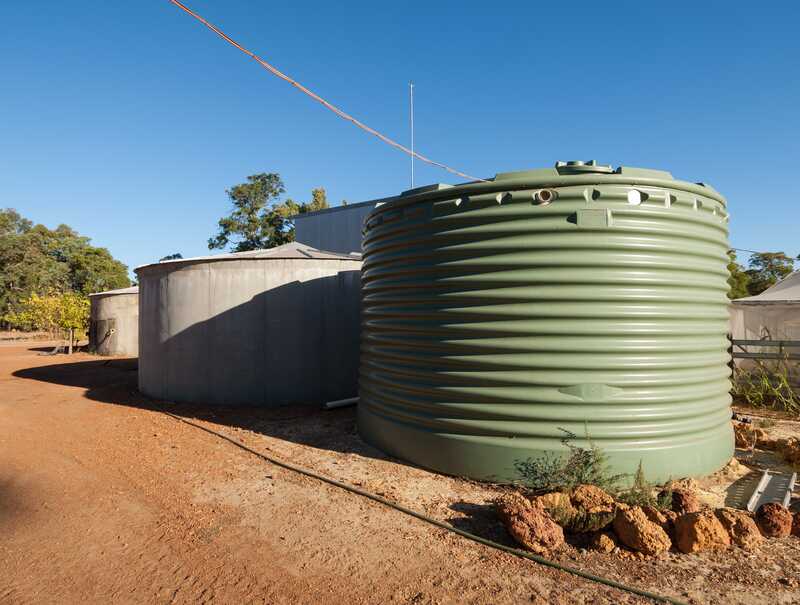 One top tip: Make an effort to maintain and repair all water storage, piping systems and drinkers throughout the year to prevent water wastage. Many thanks to Michaela Giles, Efua Okai, Glenneis Kriel, Ian Nkala and Liz Shankland for their top tips on managing heat stress and drought in pig herds.